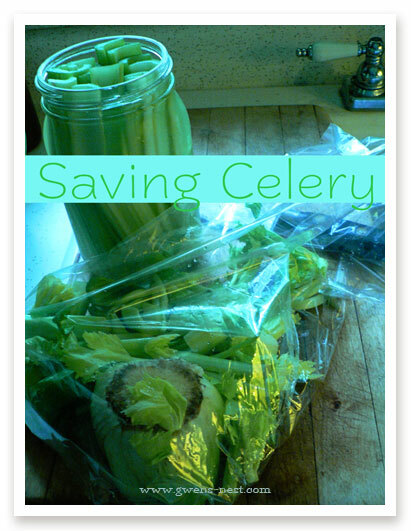 Today’s kitchen tip: saving celery. Celery is a super handy Fuel Pull snack paired with some laughing cow light cheese, or a yummy S snack paired with peanut butter. Ever wondered how to keep it nice and crisp in the fridge after cutting it into sticks? It’s SUPER easy. 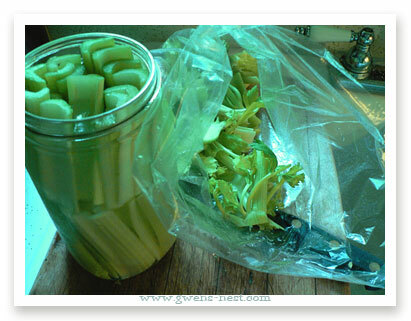 Simply drop all of your celery sticks into a glass jar, and fill with clean fresh water. It keeps them super cold & crisp. And all of the leaves and base? You can toss those into a freezer baggie and stash in the fridge…feel free to add nutrient rich onion peels & ends, and other veggie bits, and use these otherwise wasted veggies to flavor broth & stock. One of my FAVORITE uses for celery sticks when I had a teething baby was to let them gnaw on a cold celery stick. The texture is really soothing, and the strings keep them from being able to get much of a chunk off at once. My little teethy babies loved it! Such a good idea about using celery for a teething baby… I used cold carrots with my first… but I may try the celery this go around. Happy Belated birthday too! What a great way to keep celery ready to eat but fresh too! Thanks! 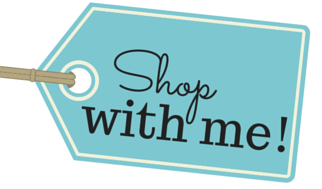 I’m super excited about my post last week being the one with the most visits, how fun! I actually started doing this a few months ago. Jars are a great way to store green pepper sticks as well. It is amazing how much longer veggies keep after washing and putting in the jar in water. How long will they stay good like this? Do you store them with the lid on or off?? Uncut celery will last A LONG time wrapped in aluminum foil. I’ve been very surprised how long I’ve had a stalk in my fridge without it going bad. Cool! Thanks for sharing that tip! 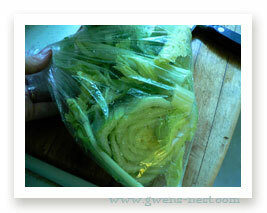 celery will keep fresh indefinitely if you wrap it tightly with aluminum foil. Remove it from the plastic bag it comes in and dry it as much as you can with paper towels then wrap it tight with foil. I wrap it in two large pieces. I can save celery for as much as six weeks by ,not washing it when I get home from the grocery store,instead wrap it completely inpaper towels and then completely in foil.Use as needed.